Here are five tips to usher in a prosperous new year! 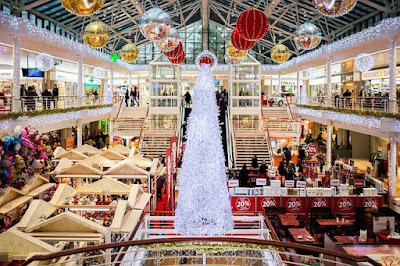 Christmas has come and gone, so is the shopping hype. Now you're left with either excess inventory or none at all. So how do you continue on selling well in the new year? What strategies should you do to have better sales next year? If you have the same questions in mind, you’re in luck. Below are a few ideas. Adding new pieces to your inventory is a must even if you have excess pieces. Your customers would want to see new designs, colors, and styles. Otherwise, they’ll get bored with your products and check out the next jewelry store. 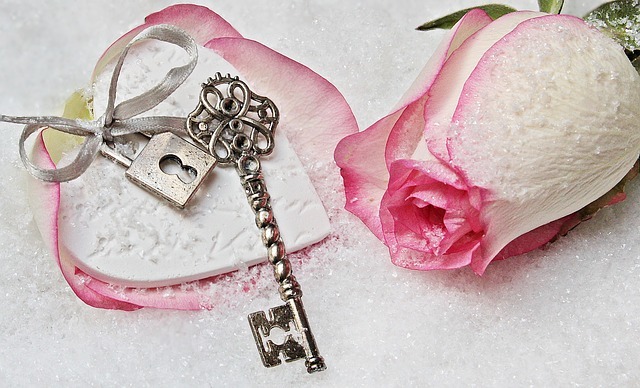 Keep them interested in your brand and products by surprising them with new jewelry they never thought you’d have available. As with your jewelry pieces for sale, getting a shop display makeover is a must. You cannot let Christmas and the new year pass and not change your store decors. Get a new necklace display and other jewelry organizers with colors that will fit your whole new display theme. Since ultra violet is Pantone’s color of the year this 2018, you can get jewelry displays in that color to attract more shoppers. You can also go for an early Valentine theme and go for reds and pinks. Run early Valentine’s Day promotions. Build a hype this early for Valentine’s Day contests. 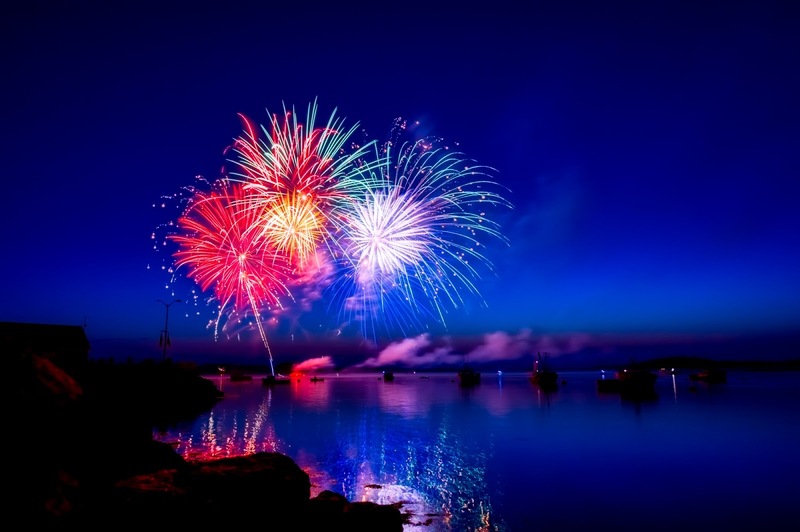 Set up promotions that will excite your customers and will keep them anticipating. You can do this both in-store and online for maximum exposure. Utilize all your social media channels so many people can participate. Do not forget to include terms and conditions, though, to avoid problems at the end of the promotions. Look for trade or craft shows in your area in January to further maximize your exposure. Or, if you have the means, you can set up one yourself. Talk to various potential sponsors if you can. Make sure it’s going to be held in a location where many people can attend. 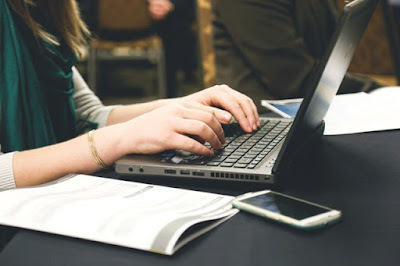 Once everything is set, get the word out there through your social media accounts, set up posters in your jewelry shop and give away flyers whenever a customer makes a purchase. Send emails to your past customers. Make your customers remember you by saying hi! A simple, straightforward email would mean a lot. Avoid hard-selling though; doing so might turn them off instead of enticing them. Ask how the new year’s treating them and inform them of your new jewelry pieces for sale. You can also send a calendar of your events if you already have them set. Lastly, you can provide a coupon code to entice them to buy from your site or your shop. Do you have any other jewelry business advice for the new year? Do share your thoughts below! Attract more customers with displays in the color of the year! Pantone has recently announced that the color of 2018 is ultra violet. According to the site, the blue-based purple "suggests the mysteries of the cosmos, the intrigue of what lies ahead, and the discoveries beyond where we are now." Cool, right? This is going to be a lot of fun for the jewelry industry, as the violet crystal, amethyst is one of the popular gem made into fashion jewelry pieces. And to match them are equally majestic violet displays. And without further ado, here are a few of our jewelry displays that boast the enigmatic bold color. 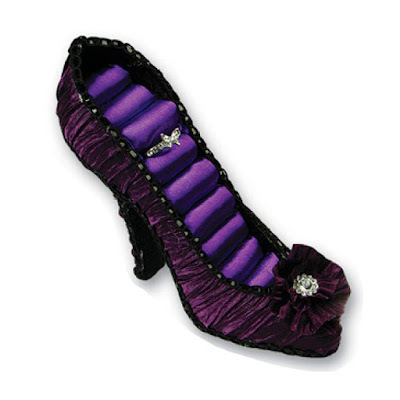 The Shoe Ring Display boasts a majestic purple color all over. It has a ruffled outer design and soft velvet inserts for your rings. A ruffled violet flower adorns the toe cap, giving it a vintage feel. This shoe ring display can hold up to eight bands and is also available in black and hot pink. For space-saving displays, these stackable trays are a good choice. 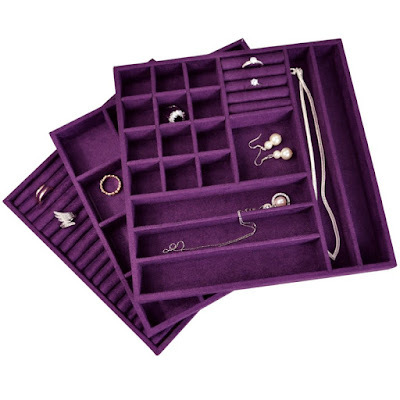 The Set of 3 Jewelry Display Stackable Tray features a velvet lining in an ultra violet color. Showcase your rings, earrings, necklaces, and bracelets in each tray. 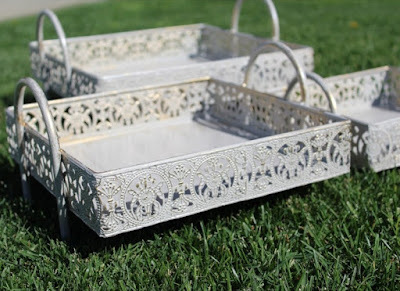 These ergonomically-designed trays are perfect for craft shows and other events because you don’t need to remove your jewelry collections before display. Lastly, they are easy to store and carry. 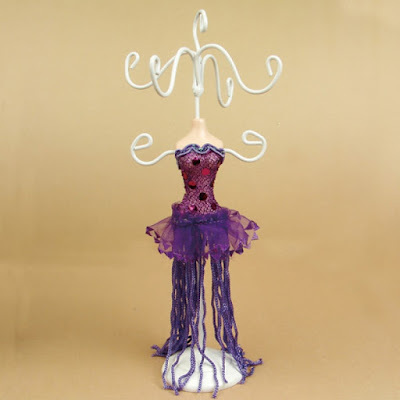 This Mini Doll Display is a cute violet necklace display that can also hold bracelets and hook earrings. It’s like a miniature mannequin you’d see in vintage sewing shops, and hence, perfect for displaying vintage-inspired jewelry pieces. The Mini Doll Display comes in two sizes (both less than seven inches in height) and a variety of colors. The 9-Piece Display Set is a gorgeous display for highlighting a new jewelry collection this 2018. The set has an elegant black wood trim that perfectly matches the cosmic purple color. 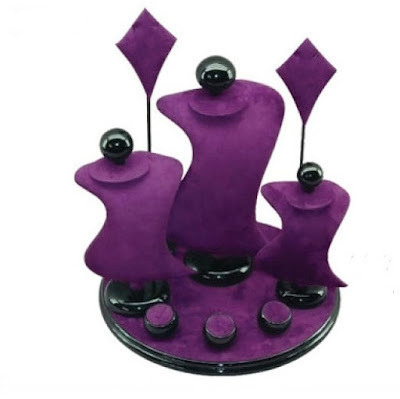 The set includes two earring trees, three necklace display busts, three ring displays, and a round base where you can place smaller jewelry pieces. This set is not only available in violet, but you can also get it in seven other colors. Not only jewelry pieces can come in violet; even lipsticks are available in that enigmatic purple shade too! And what perfect way to showcase those lippies than the Acrylic Makeup Cosmetic Brush Organizer. It boasts a violet silhouette of a dog and a cat, making it perfect for beauty enthusiasts who are pet lovers too. The acrylic organizer has 18 holes in various sizes, plus a compartment with a removable divider at the back. The silhouette design is also available in black. Bask in ultra violet goodness with these displays! If you want to check out more, feel free to browse the online shop for other jewelry displays, organizers, and even jewelry-making tools. 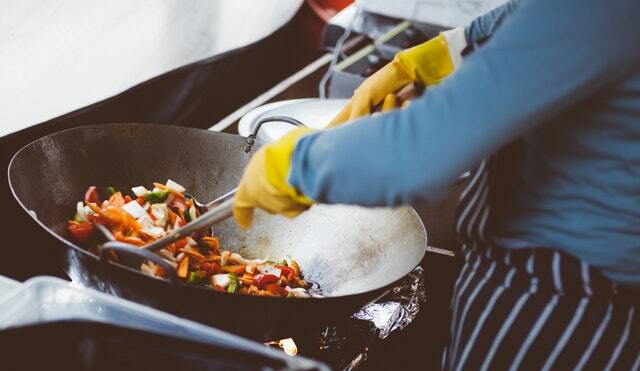 Whether they are home cooks or professional chefs, they’ll surely love these gifts. It’s easy to give presents to people who love food; be it restaurant coupons, gourmet food, or kitchen stuff, they’ll gladly receive them. Instead of giving them a bottle of the finest wine or a gourmet food basket, try giving them something different this year. With that said, here are five gift suggestions to home cooks, professional chefs, or simply food lovers this Christmas. Food tastes so much better with spices. 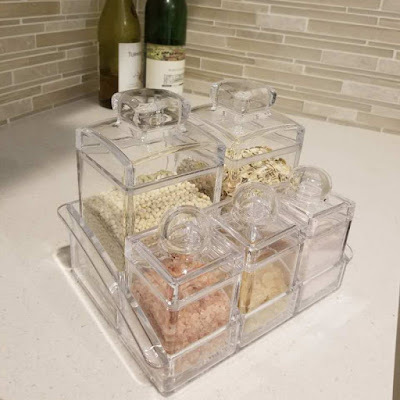 And if you are gifting someone who loves to cook and has a spice collection in their kitchen, this 5-piece spice storage set is a perfect present for them. The set features two tall clear acrylic containers and three smaller ones on a holder tray. 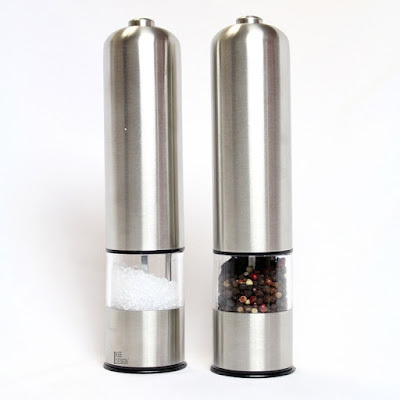 These jars can hold not only spices but also condiments such as salt, pepper, even flour, and cornstarch. And because they’re acrylic, they’re easy to clean and are durable. Some of us just love to collect mugs, like those special edition Christmas mugs from Starbucks. 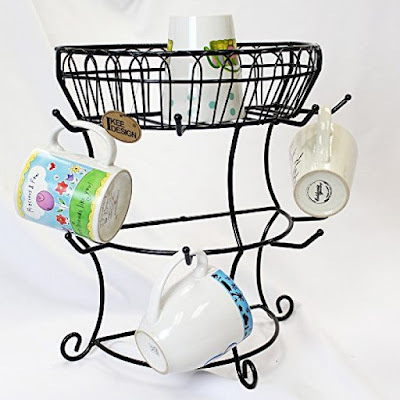 If your friend does just that, you can gift them a sturdy metal mug rack with a unique ergonomic design that reminds so much of a metal necklace display. 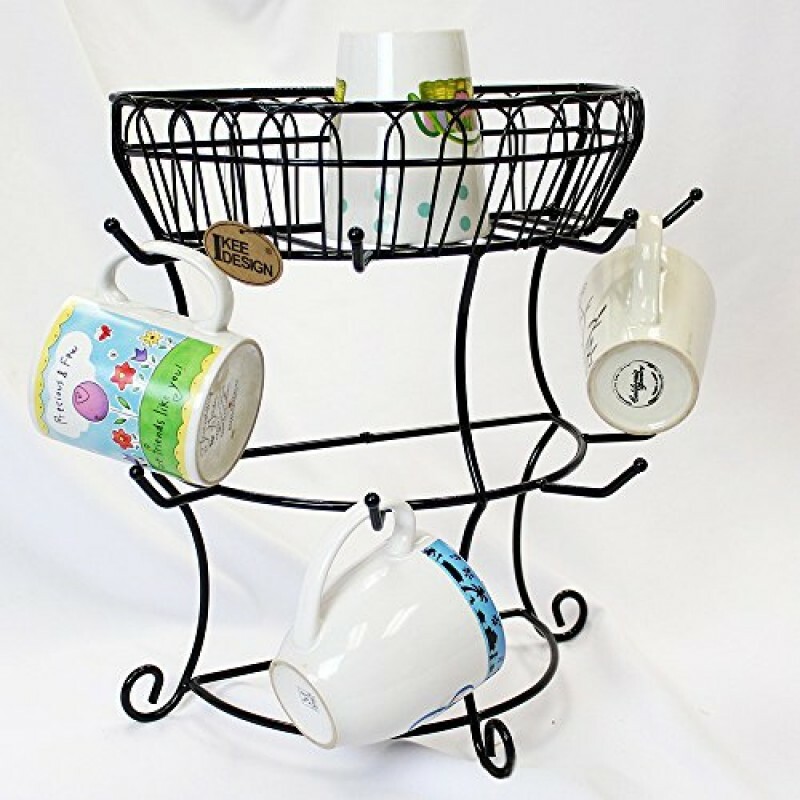 It has eight hooks to hang mugs and a wire basket at the top. It has a flat back so it can be placed by the wall, saving a lot more space in the kitchen or dining area. For the food and wine lovers, this wine bottle rack will delight them. 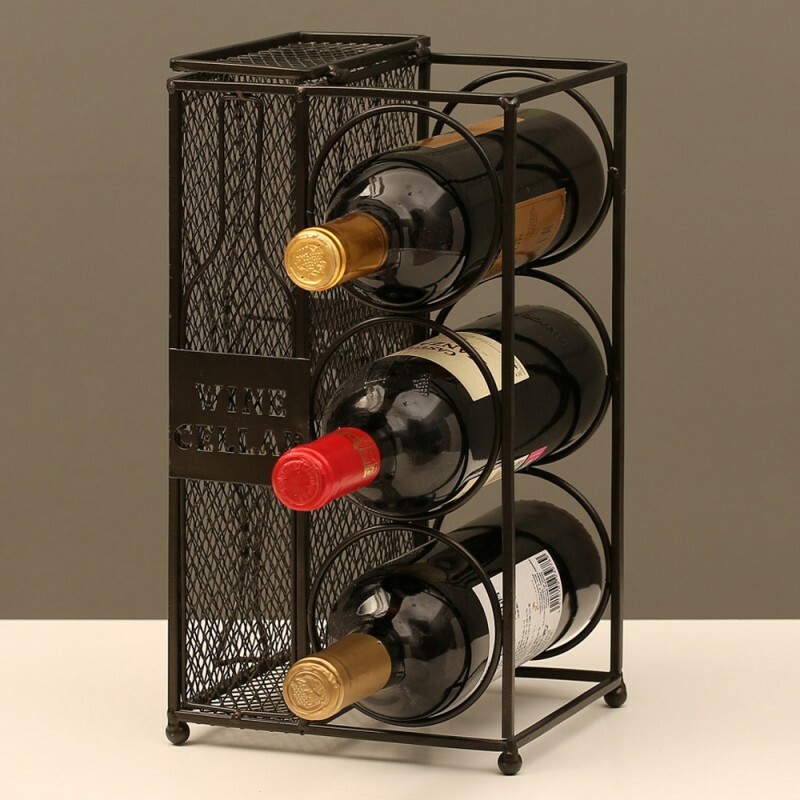 This rack can hold three bottles and up to a hundred corks, perfect for the wine collectors. It’s a great decor for the kitchen, bar, living room, or even the bedroom! The cork holder is a side cage with a door on top. The rack features four ball-feet which prevents scratches to floor tiles or furniture. These automatic grinders are ideal gifts for home cooks and chefs who have a lot on their plate (pun intended). With just a push of a button, you can grind peppercorns, rock salts, and other spices. You can quickly adjust the granularity, and they’re easy to clean as well. The sleek stainless steel design is perfect for modern kitchens and matches stainless steel kitchen tools. Both grinders are durable and have high-quality shatter resistance to prevent accidents. Lastly, this rustic three-tray set is perfect gifts for people who love to bake. 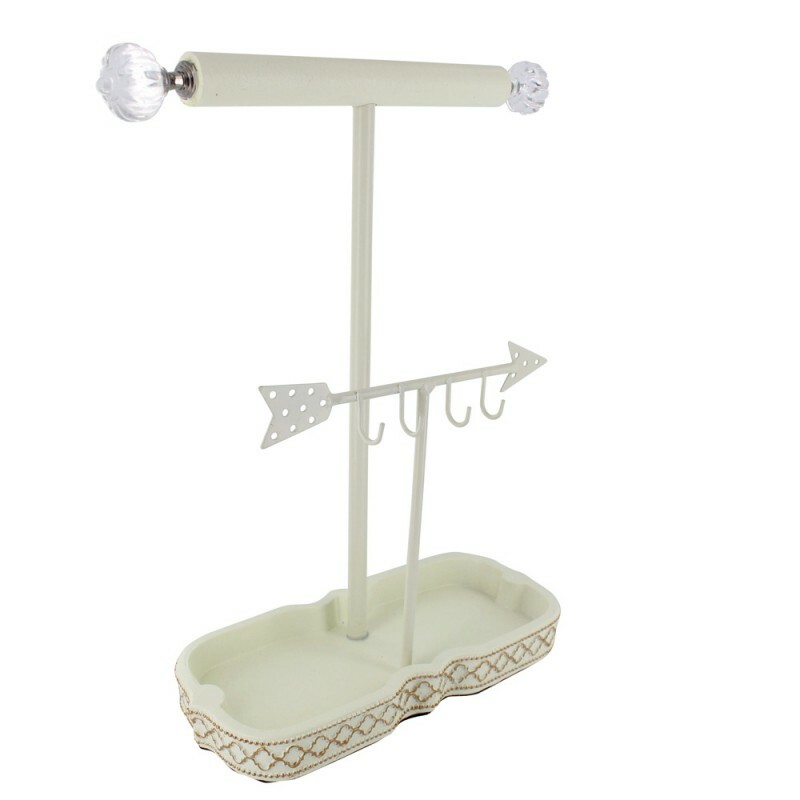 These can be used as trays for freshly baked bread and other goodies. These can also be used for other things, such as kitchen tools. The dimension of the small tray is 8 5/8"L x 8 1/8"W x 4 3/4"H, the medium tray is 10 1/2"L x 10"W x 6 1/4"H, and the large tray is 12 5/8"L x 11 7/8"W x 7 1/8"H.
Want to look for more gift ideas to your foodie friends or corporate giveaways this Christmas? Feel free to browse the shop! Find out why the frills-free style is a hit with businesses and customers alike. What is the minimalist style? It’s having a bare minimum amount of clothing in your wardrobe, along with a few selection of colors and simple designs and patterns. In the interior design industry, minimalism is basically keeping things few and simple; instead of filling rooms with furniture, just keep ones that you need. The common denominator is simplicity. 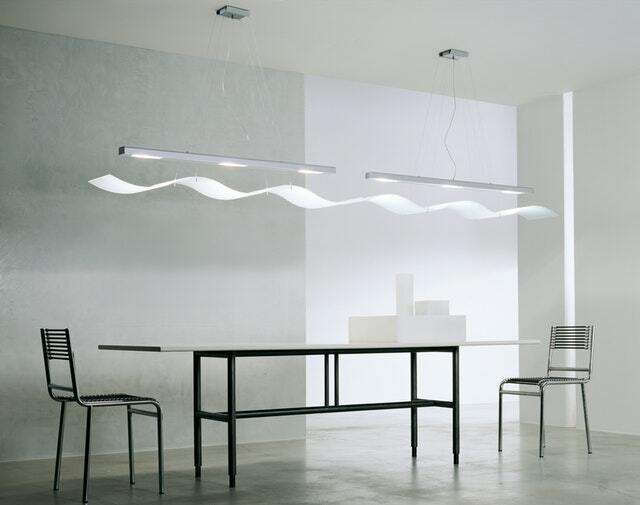 In the fashion and architecture and design fields, minimalism is popular. It’s sophisticated and respected. No wonder even shop displays follow this style. This week, we’ll be tackling the reasons why people love it, as well as provide display suggestions for you to achieve the less-is-more look. Because there isn’t much to see in a minimalist display, your eyes won’t get stressed looking at too many things. There isn’t much going on, and so your brain doesn’t need to process too much information. Hooray for a stress-free brain! 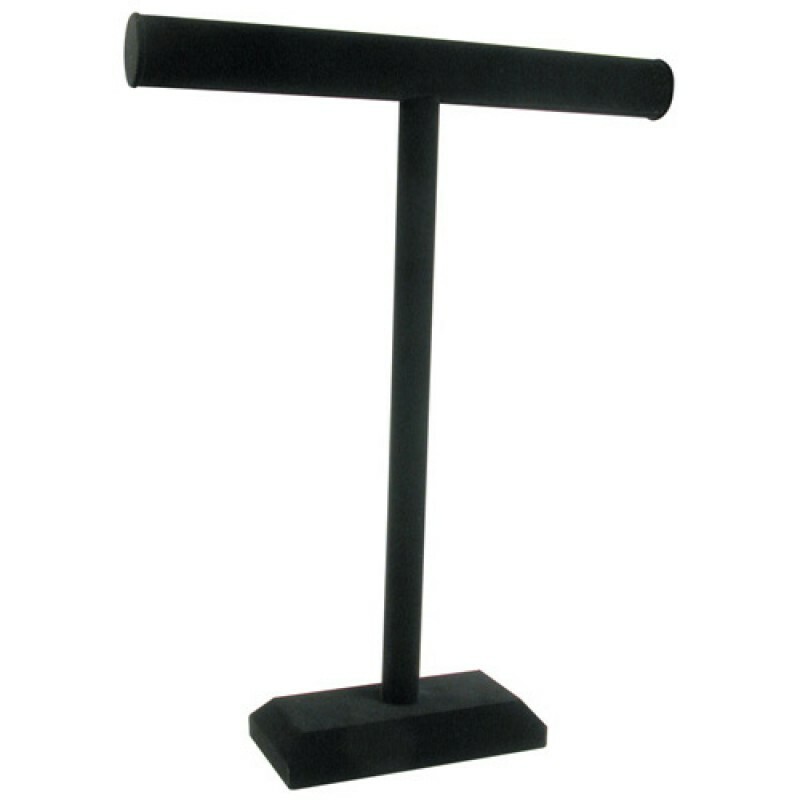 Nile Corp recommends the Single T-Bar Display. 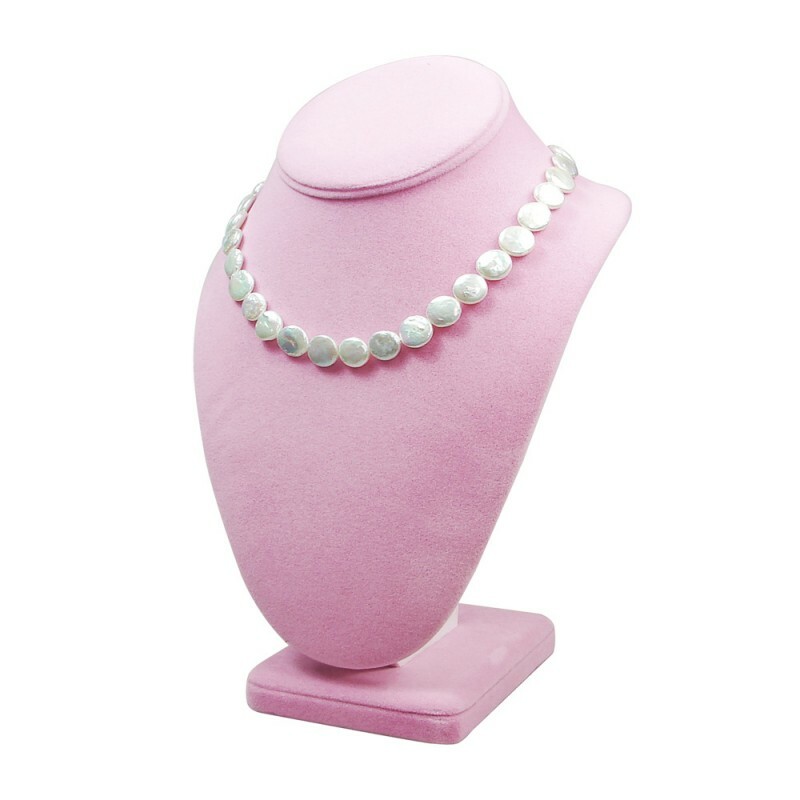 This necklace display is perfect atop either a black or white table. No need to add any more decors if you’re going for a minimalist look. 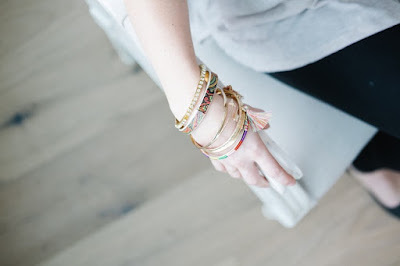 This t-bar can hold not only necklaces but also bangles and bracelets. A clutter less place exudes positive, light energy and makes you feel better. It also looks clean, elegant, and expensive. Everything is in its place, and it's easier to look for things. Nile Corp recommends the Acrylic Rotating Makeup Organizer Lipstick Rack Brush Holder. 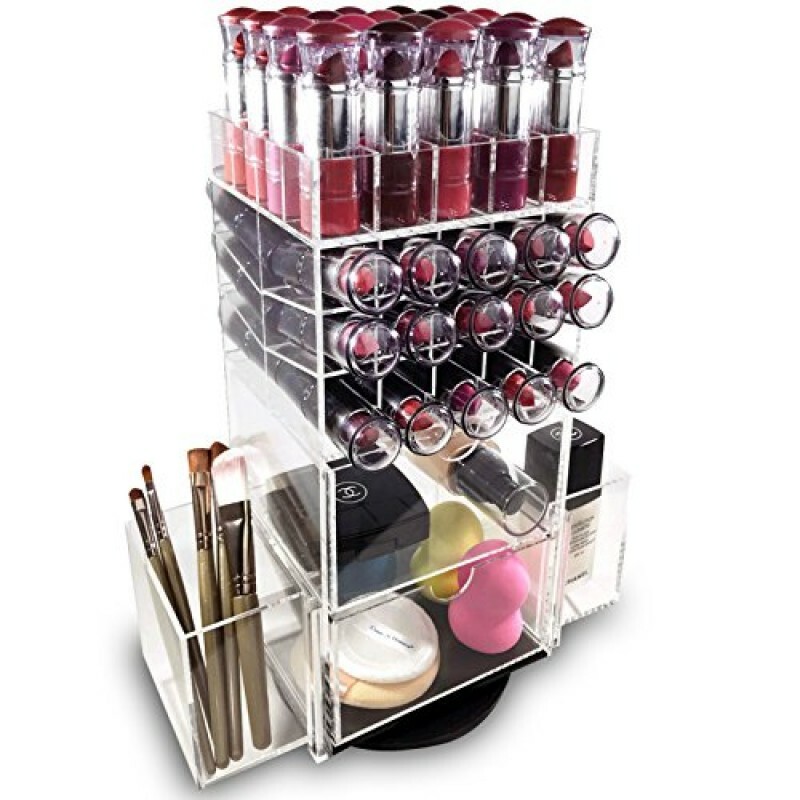 The Acrylic Rotating Makeup Organizer Lipstick Rack Brush Holder is a great display to organize lipsticks and other makeup tools. It allows you to quickly find that particular lip shade or makeup brush you need. 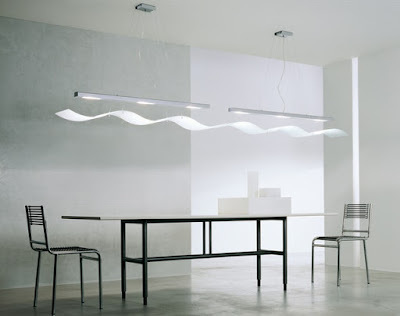 A minimalist display is a straightforward display. It’s much easier to sell a product with fewer frills. Your customer will immediately see the product and lessen the steps of the consumer-buying process. Nile Corp recommends the Metal Arrows Jewelry Display. Minimalism gets even more elegant with monochrome colors. Instead of getting displays with bright patterns and many colors, go for something with just one or two colors, like this Metal Arrows Jewelry Display. And because there isn’t much in the display, it’s way easier to clean and maintain. No need to move around so much stuff or ruin perfectly positioned stands and organizers. 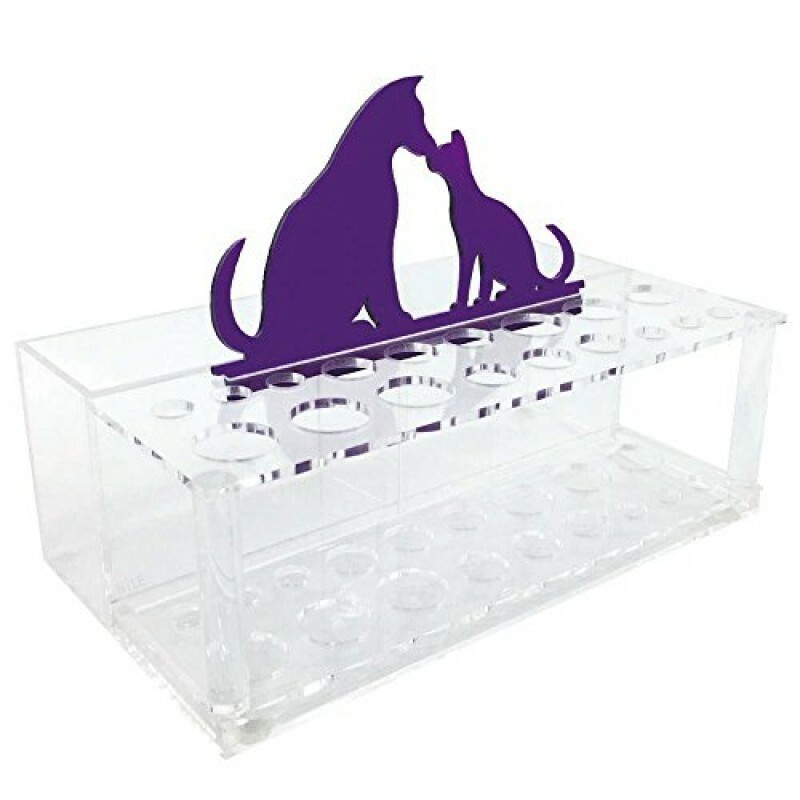 Nile Corp recommends the Acrylic Ring Stand. Acrylic displays are the perfect low maintenance jewelry displays. You only need a cleaning brush to remove dust and dirt, while a lint-free cloth is ideal for removing fingerprints and other marks. Lastly, because you don’t need a lot of other decors and displays, having a minimalist-themed jewelry shop does not require you to break the bank. You can opt using display sets or the popular wire displays that can hold not only necklaces but other jewelry pieces as well. 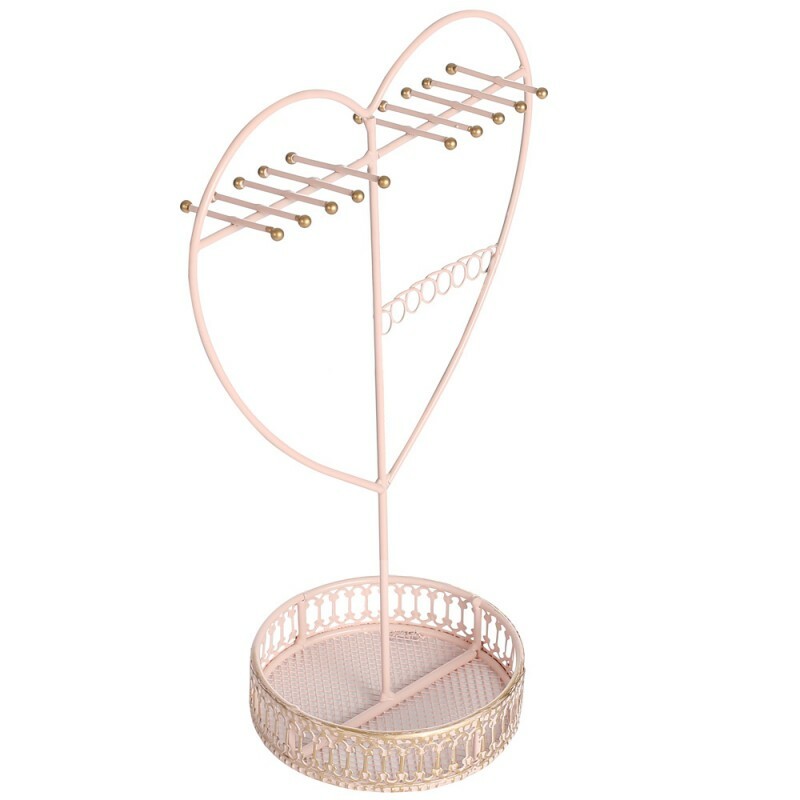 Nile Corp recommends the Metal Heart Shape Jewelry Display Organizer. This metal jewelry display organizer can hold all jewelry pieces. It has 20 hooks for tangle-free necklaces and bracelets, a bar with holes for hook earrings, and a base tray for rings and other earrings. Plus, the metal display has a feminine pink color your female customers would love. Get to see more minimalist jewelry displays and other organizers in the online shop!